Capitalism and Modern Social Theory: An Analysis of the Writings of Marx, Durkheim and Max Weber, (Cambridge University Press, 1971). Politics and Sociology in the Thought of Max Weber, (Macmillan, 1972). The Class Structure of the Advanced Societies, (Hutchinson, 1974). New Rules of Sociological Method: A Positive Critique of Interpretative Sociologies, (Hutchinson, 1976, 2nd ed., 1993). Studies in Social and Political Theory, (Hutchinson, 1977). Central Problems in Social Theory: Action, Structure, and Contradiction in Social Analysis, (University of California Press, 1979). A Contemporary Critique of Historical Materialism, vol. 1: Power, Property and the State, (Macmillan, 1981). Sociology: A Brief but Critical Introduction, (Macmillan, 1982, 2nd ed., 1993, 3rd ed., 1997, 4th ed., 2001, 5th ed., 2006, 6th ed., 2009). The Constitution of Society: Outline of the Theory of Structuration, (Polity Press, 1984). A Contemporary Critique of Historical Materialism, vol. 2: The Nation-state and Violence, (Polity Press, 1985). Social Theory and Modern Sociology, (Polity Press, 1987). The Consequences of Modernity, (Stanford University Press, 1990). Modernity and Self-identity: Self and Society in the Late Modern Age, (Polity Press, 1991). Introduction to Sociology, (Norton, 1991). The Transformation of Intimacy: Sexuality, Love and Eroticism in Modern Societies, (Stanford University Press, 1992). Beyond Left and Right: the Future of Radical Politics, (Polity Press, 1994). Politics, Sociology and Social Theory: Encounters with Classical and Contemporary Social Thought, (Polity Press, 1995). In Defence of Sociology: Essays, Interpretations and Rejoinders, (Polity Press, 1996). The Third Way: the Renewal of Social Democracy, (Polity Press, 1998). Runaway World: How Globalisation is Reshaping Our Lives, (Profile Books, 1999). The Third Way and its Critics, (Polity Press, 2000). Where now for New Labour?, (Polity Press, 2002). Europe in the Global Age, (Polity Press, 2007). Over to You, Mr Brown: How Labour Can Win Again (Polity Press, 2007). Reflexive Modernization: Politics, Tradition and Aesthetics in the Modern Social Order, with Ulrich Beck and Scott Lash, (Polity Press, 1994). 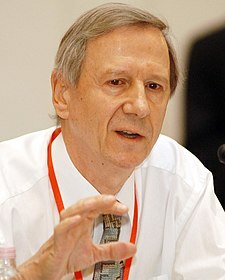 Conversations with Anthony Giddens: Making Sense of Modernity, with Christopher Pierson, (Stanford University Press, 1998). Essentials of Sociology, with Mitchell Duneier and Richard P. Appelbaum, (Norton, 2006). The Sociology of Suicide: A Selection of Readings, (Frank Cass, 1971). Emile Durkheim: Selected Writings, (Cambridge University Press, 1972). Positivism and Sociology, (Heinemann, 1975). Durkheim on Politics and the State, (Polity Press, 1986). Human Societies: An Introductory Reader in Sociology, (Polity Press, 1992). Sociology: Introductory Readings (Polity Press, 1997). The Global Third Way Debate, (Polity Press, 2001). The Progressive Manifesto: New Ideas for the Centre-Left, (Polity, 2003). Elites and Power in British Society, co-edited with Philip Stanworth, (Cambridge University Press, 1974). Classes, Power, and Conflict: Classical and Contemporary Debates, co-edited with David Held, (University of California Press, 1982). Social Class and the Division of Labour: Esays in Hnour of Ilya Neustadt, co-edited with Gavin Mackenzie, (Cambridge University Press, 1982). Social Theory Today, co-edited with Jonathan H. Turner, (Stanford University Press, 1987). Global Capitalism, co-edited with Will Hutton, (New Press, 2000). On the Edge: Living with Global Capitalism, co-edited with Will Hutton, (Jonathan Cape, 2000). The New Egalitarianism, co-edited with Patrick Diamond, (Polity, 2005). Global Europe, Social Europe, co-edited with Patrick Diamond and Roger Liddle, (Polity, 2006).